You'll save on parking and fuel and have more money to spend on stuff you love! Plus, if you travel on the the busway you'll avoid inner city traffic congestion, and experience more reliable travel times to the city. It only takes around 20 minutes* to travel from Kedron Brook station to King George Square. Benefits of catching the bus! 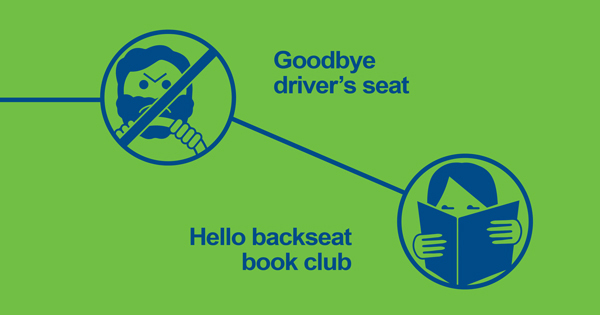 Goodbye driver's seat, hello backseat book club. Catching the bus is your chance to get lost in a good book, catch up on emails or plan your next holiday. 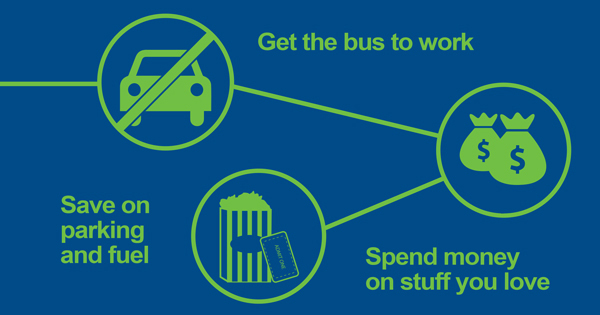 Get the bus to work, save on parking, fuel, tolls and car upkeep. What's more, you'll save 50% on your fares after you make 8 journeys a week using go card, Monday to Sunday. Hello, more stuff to love. Catch a city-bound busway services to avoid inner city traffic and enjoy a more reliable journey. 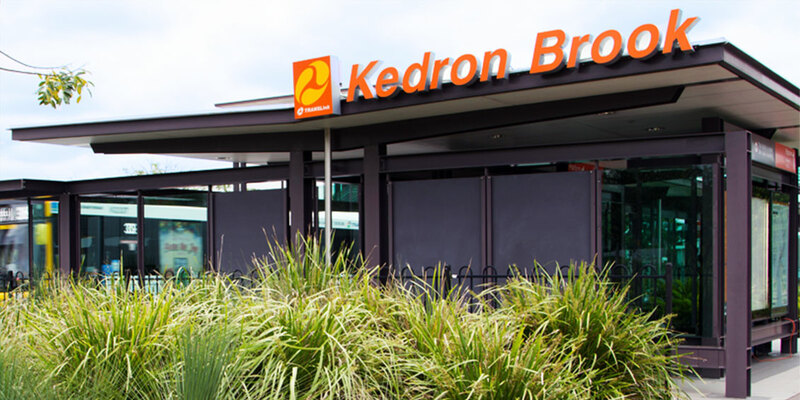 Buses leave from Kedron Brook station and Kedron North stop (Gympie Road) around every 5 minutes. 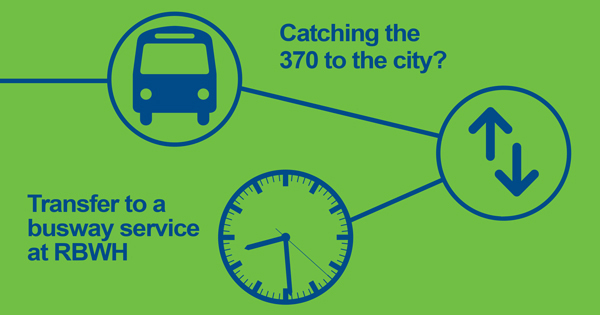 If you currently catch the 370 or P332, transfer at RBWH to another busway service such as 66, 330, 333, 340 or 363 to save at least 10 minutes ^on your journey. See when your next bus is arriving and what services are departing from your stop. Use the trip announcer to see upcoming stops and remaining journey time. 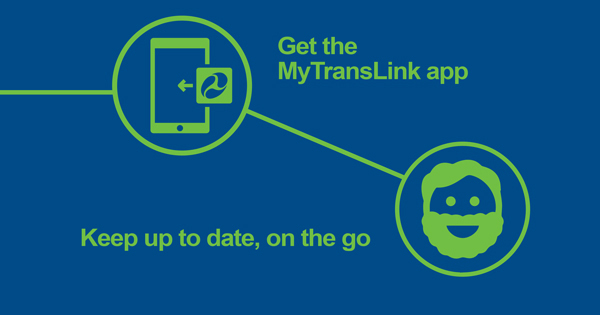 MyTransLink is available free from the App Store and Google Play. Hello, real time service info. Plan your work journey now! go card fares are at least 30% cheaper than a paper ticket**. Get one at 7-Eleven, NightOwl, Queensland Rail ticket offices and most newsagents. Find your nearest retailer. Register to top-up online, check your travel history, and your card balance will be protected if your card is lost or stolen. Always have money to travel. Activate auto top-up for your go card, so it automatically tops up when the balance falls below $5. * Based on route 333 on the busway during the morning peak. ^ Based on Google maps peak hour car and bus transit times. ** You'll need to pay a refundable deposit for go card.